Lake Baikal is the world’s oldest and deepest freshwater lake. More than 2,500 animal species call it home — many of which can’t be found anywhere else. Nestled deep into the mountains of Siberia sits Lake Baikal. It's a bit mysterious, quite majestic and one of the world's most fascinating bastions of marine diversity. It's the world's oldest and deepest freshwater lake, formed around 25 million years ago. It's got more water in it than all of the U.S.'s Great Lakes combined. More than 2,500 curious marine animal species call it home. Astonishingly, more than 80 percent of the life found in Lake Baikal is endemic to the body of water, meaning that the critters that swim off its shores can't be found anywhere else. 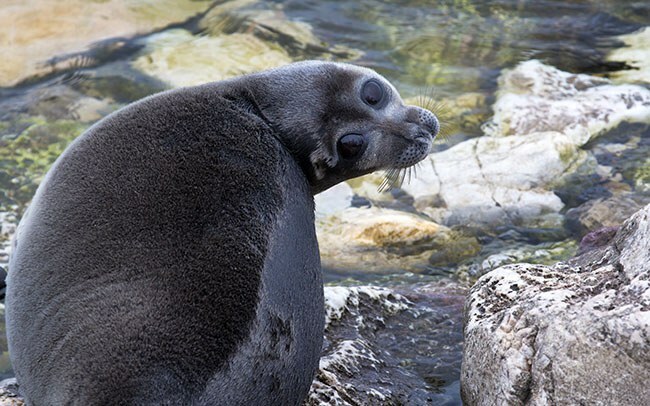 We know what you might be wondering: How did a seal become endemic to a lake? The short answer is that no one really knows, but they've made it their home for about 2 million years now. 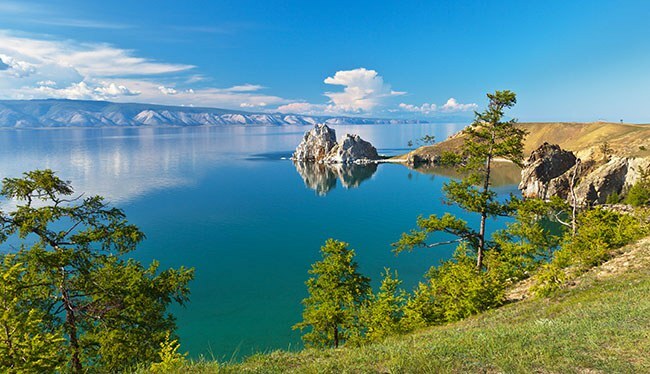 Some marine biologists believe they may have swum up certain rivers and streams to Lake Baikal ages ago, or that perhaps the lake was at one point connected to the ocean. In any case, the animal, which is locally known as the nerpa, is now quite common in the lake. It's relatively small and friendly, and is the only exclusively freshwater pinniped in the world. Golomyanka, or the Baikal oilfish, are the local nicknames for the Comephorus fish. Thanks to being incredibly rich in vitamin A, they make up the bulk of the calories of a Baikal seal diet. But they're better known for their curious appearance. Once they're dead, the Golomyanka appears to be a normal fish; but swimming around the water, they're eerily translucent and don't have scales. If you head to Lake Baikal on vacation, someone's going to offer you some omul. 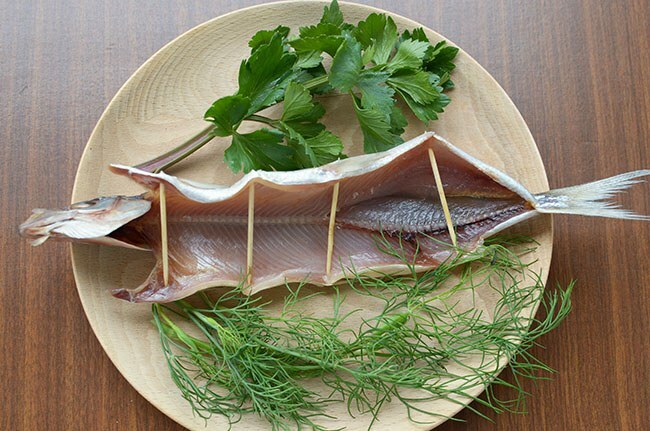 And you should take it — this whitefish is delicious, and is considered a delicacy around Russia. Vendors surrounding Baikal sell the whole fish smoked, but it's also popular salted. This subspecies of the Siberian sturgeon is one of the odder-looking creatures in the depths of Baikal. 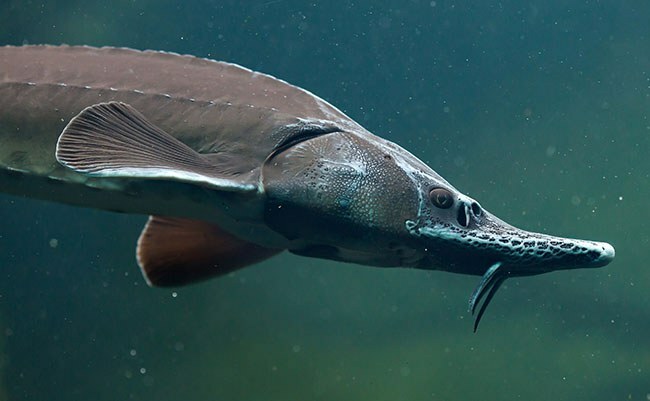 Found in the bays and tributaries of the lake, these sturgeon are slow to mature and can live up to 60 years and weigh 250 pounds. These days, however, it's rare to find a Baikal sturgeon that big and old. It's on the endangered species list and some researchers are making efforts to curb sturgeon fishing. These odd fish love how deep Lake Baikal gets. Sculpin, or Abyssocottidae, swim more than 550 feet below the surface. There's a few different types. 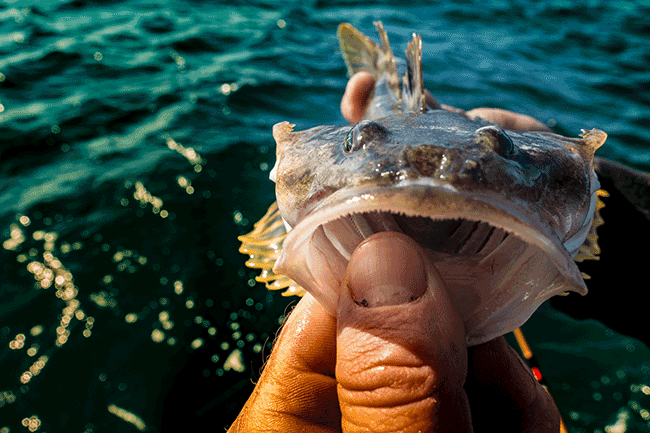 Some run small, but they're still caught as a tasty snack for locals.